Tyler Snodgrass is a comedian living in Chicago. 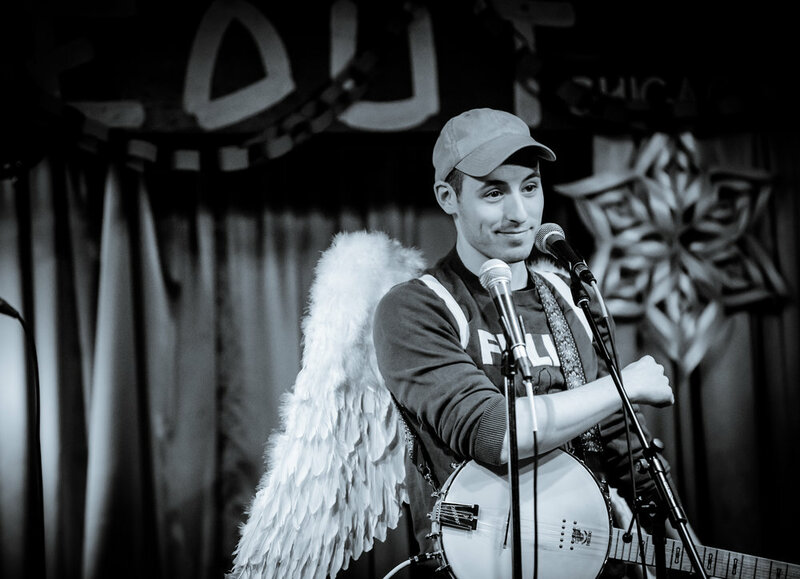 Often inspired by his religious upbringing in the Ozarks, his previous career as a public school teacher, and his banjo, Tyler combines vulnerable stories with a delightful silliness that can make any topic accessible and hilarious. Tyler co-created and produces the comedic storytelling show and podcast, We Still Like You, which is based in Chicago, has a chapters in Los Angeles, Denver, and Louisville, and has appeared in festivals, theaters, and apartments all over the country. He is also an associate producer of MORTIFIED’s Chicago chapter. Tyler has performed in The New York Comedy Festival, The Cinderblock Comedy Festival, Green Gravel Comedy Festival, C2E2, and more. He has written for The Whiskey Journal, The Hard Times, Better Book Titles, comedian Yakov Smirnoff, and the Emmy Award-winning talk show, The Mystery Hour. He has a good heart and an OK face. Come see a live show!